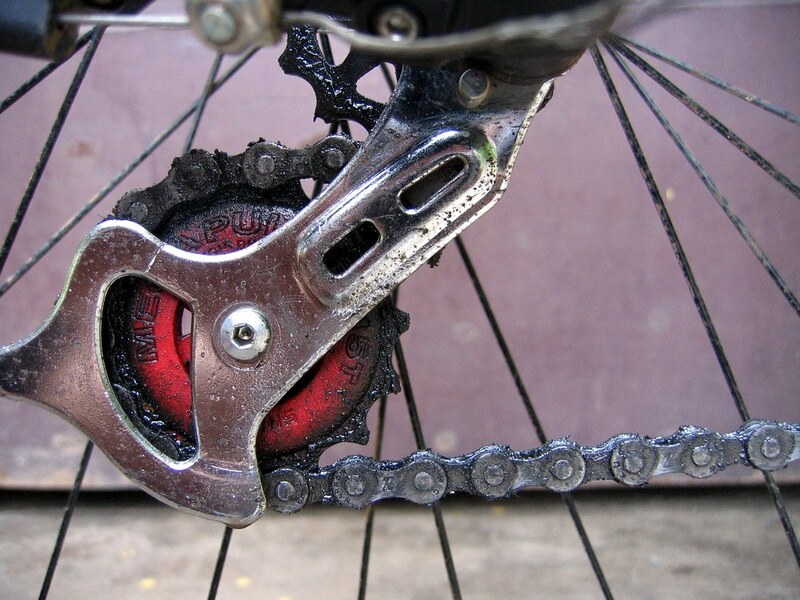 One of the fastest ways to make sure your nice new shiny bicycle is converted into a piece of junk is to oil it, incorrectly. When oil and dirt mix up they form a deadly combination which is abrasive in nature. 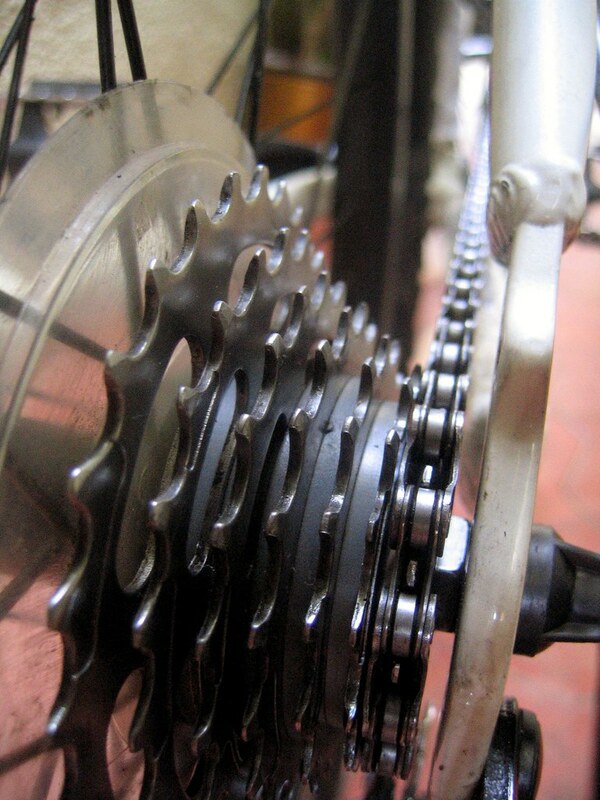 Lubricating a bike is very important, but the key is to use very little and remove the excess oil. 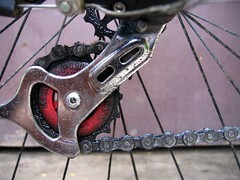 just wrap a clean cloth around the chain and backpedal. This should remove most of the muck that is on the chain. 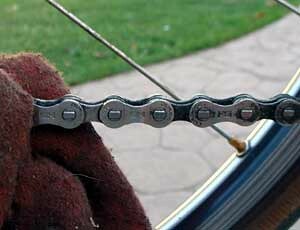 clean the chain exterior as explained earlier. If the chain is really dirty you might have to resort to using a degreaser (like WD 40) to clean up the muck. 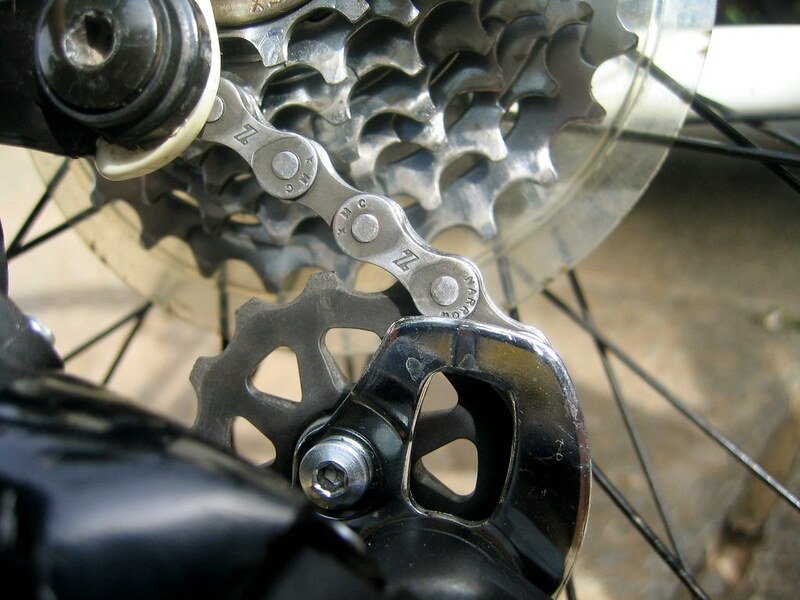 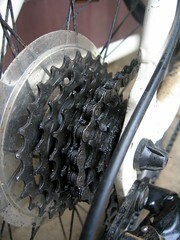 after the chain is relatively clean, add a drop of oil (very little) on each chain link. Its only the inside of the rollers that actually need the oil. 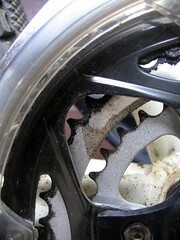 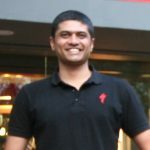 back pedal some 20 – 30 times so that the oil penetrates the insides of the rollers. take a clean cloth and clean the exterior of the chain like before and make sure all the excess oil is removed. 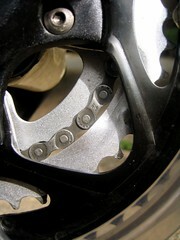 This should keep the chain in good working condition. 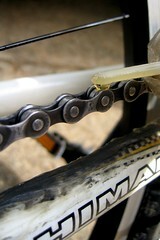 Having a clean drive chain does make your ride seem so much more pleasant !